New Guy from Fremont, Calif. I'm Randy from Fremont, California. 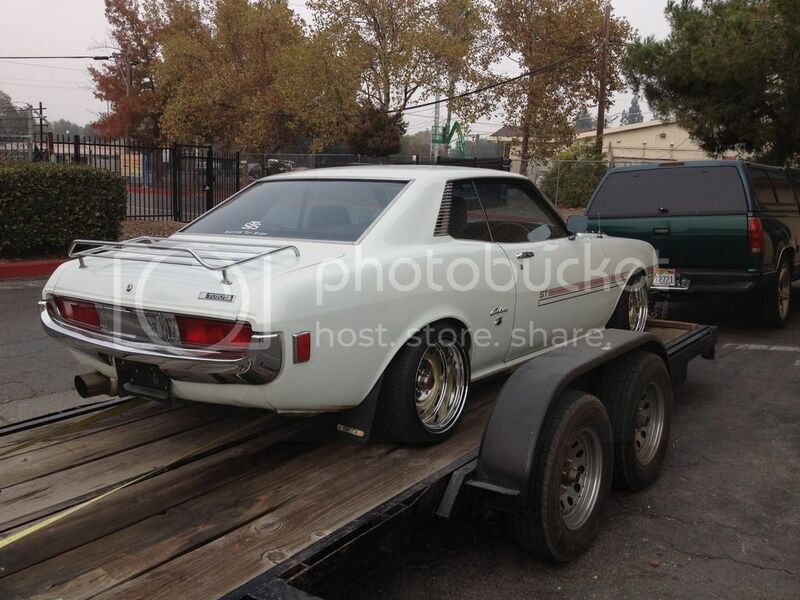 I'm new to the forum and new to Celicas. 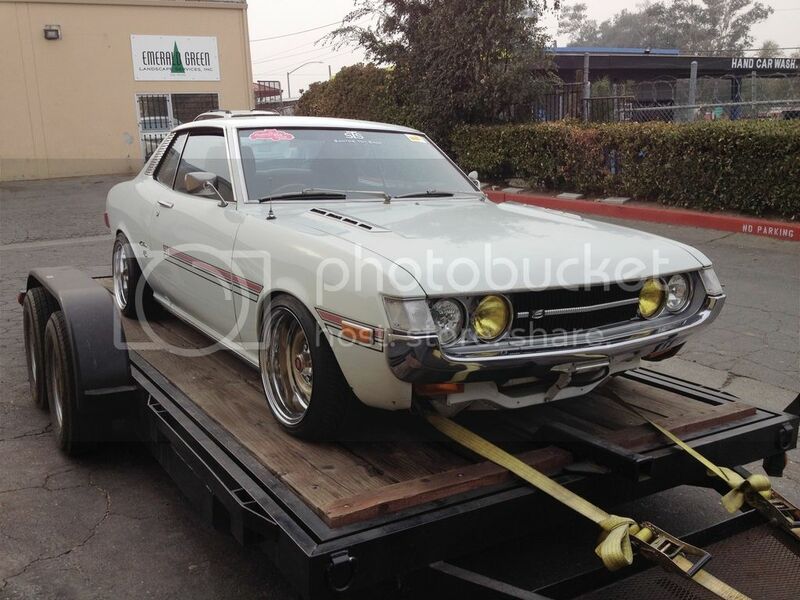 I have a small collection of classic cars, but I have never owned a Celica before. 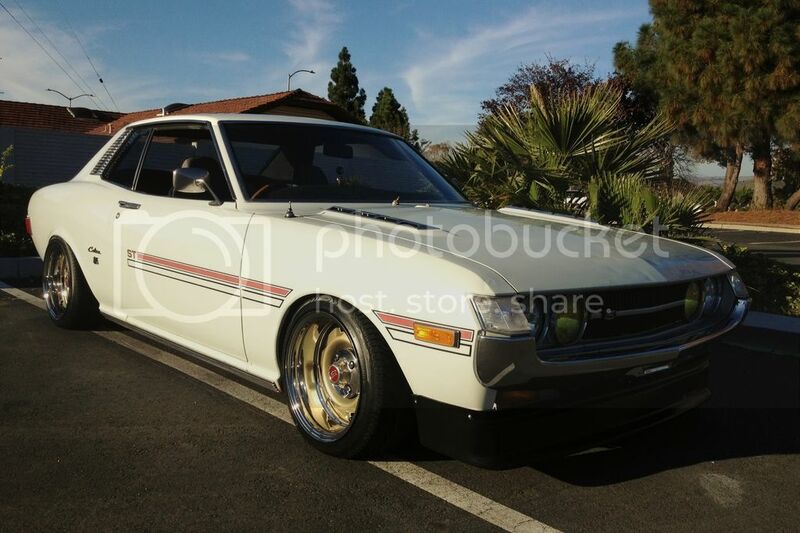 I recently stumble across an ad on craigslist for a white 1972 Toyota Celica ST. I saw the pictures and fell in love with it. Yup, you guessed it, I bought it. 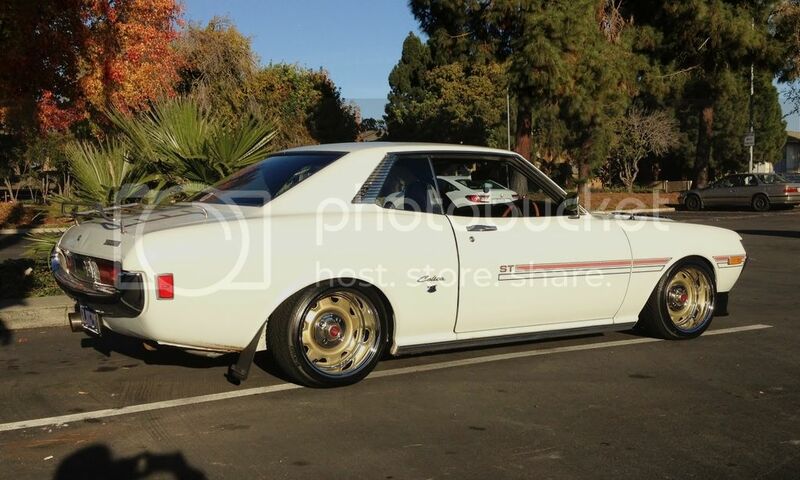 I'm now the proud owner of Mike Santos "Snow White". I'm sure I don't have to tell you guys what a great car this is, but let me tell ya IT'S A GREAT CAR! I'll keep you all updated with any changes/upgrades I make to the car. There isn't much to do, Santos had this thing nailed. Don't worry, I will never paint it. 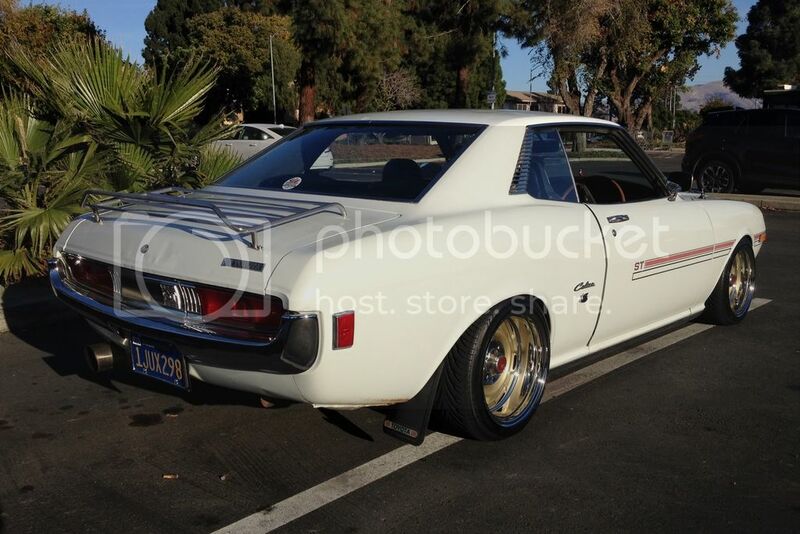 I love the fact that this car is sporting it original paint job from the factory. I could tell that Mike didn't really want to sell the car, but I'm glad he did. It's a lot of fun to drive. Here are a couple of pic the day I picked it up at Santos' Toy Shop. Oh, by the way. For those of you who haven't met Mike Santos in person yet, let me tell you he is a great guy. We hit it off right away. He's a no nonsense easy going car guy through and trough. Incredibly knowledgeable and very talented. That's it for now. Got it registered and insured, so I took the car out for a spin. Actually drove it around all day showing it off to friends. It's a ton of fun to drive. Got lots of compliments and thumbs up everywhere I went. I love this thing! Yes, Fremont is on the East side of the San Francisco Bay Area. Right in the middle between Oakland and San Jose.